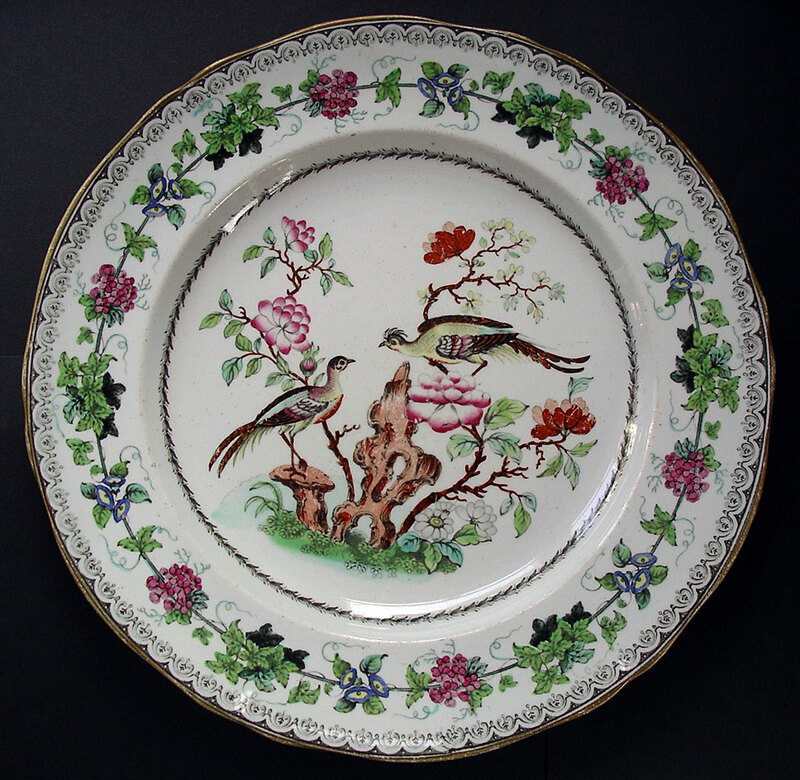 "A wonderful Staffordhire Ironstone or Stone China Fancy Birds pattern plate which is stylistically from the same school as Staffordshire Masons Ironstone and Spode Stone China of the period. Fortunately the presence of the very rare Minton and Boyle mark on another identical pattern piece now sold means we can correctly attribute this fine English pottery antique to this early Minton partnership. The pattern on this piece - Minton number 4401 is taken directly from an earlier Chinese Export Qianlong design. An important reference example for the knowledgeable and serious antique pottery collecto." Antiques Expert Hamilton Bear. References: We have previously sold another marked example of this piece with pattern number 4401 hand written in red inside a printed cartouche mark for Minton and Boyle: the Minton partnership from 1836-41. This pattern wsas later renumbered by Minton - some of the best earlier designs were later cut out from old pattern books and pasted into newer ones. The pattern book design is illustrated page 118 plate 146 of Howard Davis, Chinoiserie, Polychrome Decoration on Staffordshire Porcelain 1790-1850. Marks: pattern number 4401 and painted and impressed potter's marks as illustrated. Condition: Excellent condition for display with no edge chips, cracks, or restoration or significant defects. 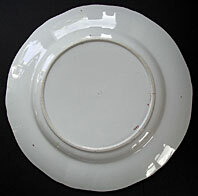 Some typical minor rubbing wear to painted decoration and some short faint clear surface scratches to glaze visible on close inspection. Both are easily missed and do not detract from the overall decorative qualities of the piece.